Please download, share, republish, and spread this, before it gets removed from the internet. Kansas loves them some voter fraud hysteria. From going to the Supreme Court to try and make doubly-sure that non-citizens can’t vote in their elections to setting up a voter fraud website where citizens can report every kind of voter fraud except the kinds that have actually happened in the state, Kansas is on the forefront of voter fraud readiness and protection. What is the Sequoia AVC Edge? It’s a touch-screen DRE (direct-recording electronic) voting machine. Like all DREs, it stores votes in a computer memory. In 2008, the AVC Edge was used in 161 jurisdictions with almost 9 million registered voters, including large parts of Louisiana, Missouri, Nevada, and Virginia, according to Verified Voting. Where did this machine come from? It was last used in Williamsburg, Virginia for the 2008 primaries. 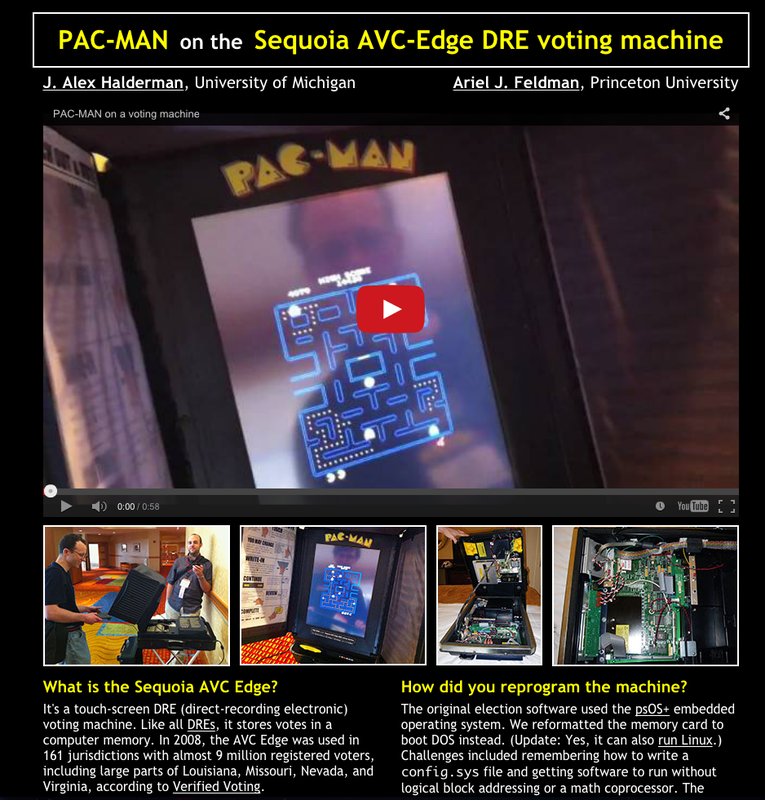 Due to a state ban on DREs, the city then switched to optical scan voting and sold off its AVC Edge machines. Jeremy Epstein, Josh Holt, and Rebecca Hulse purchased two of them for $100. They sent one machine to Joseph Lorenzo Hall, who provided it to us. What’s inside the AVC Edge? It has a 486 SLE processor and 32 MB of RAM—similar specs to a 20-year-old PC. The election software is stored on an internal CompactFlash memory card. Modifying it is as simple as removing the card and inserting it into a PC. Touchscreen voting machines used in numerous elections between 2002 and 2014 used “abcde” and “admin” as passwords and could easily have been hacked from the parking lot outside the polling place, according to a state report. The AVS WinVote machines, used in three presidential elections in Virginia, “would get an F-minus” in security, according to a computer scientist at tech research group SRI International who had pushed for a formal inquiry by the state of Virginia for close to a decade. In a damning study published Tuesday, the Virginia Information Technology Agency and outside contractor Pro V&V found numerous flaws in the system, which had also been used in Mississippi and Pennsylvania. 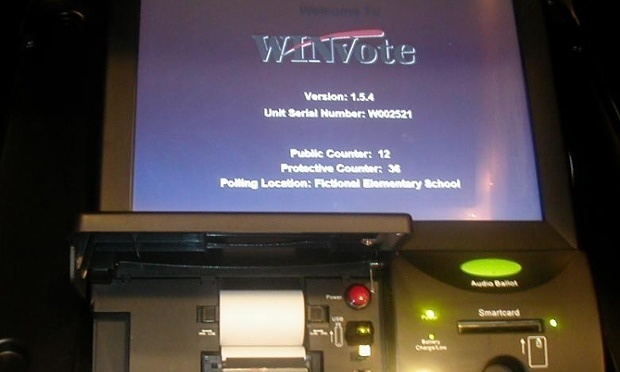 Jeremy Epstein, of the Menlo Park, California, nonprofit SRI International, served on a Virginia state legislative commission investigating the voting machines in 2008. He has been trying to get them decertified ever since. Voting machine source-code leak shows election-rigging subroutines?